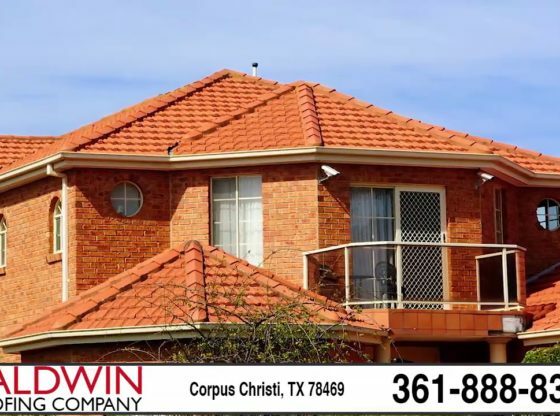 Baldwin Roofing Company | Asphalt Shingle Roof Installation | Corpus Christi, TX | Corpus Christi Rocks! A proud member of the Better Business Bureau, let Baldwin Roofing Company be your one-stop shop for all your roofing needs. Serving the needs of both residential and commercial clients, we have the experience, know-how and dedication to get your roof repaired properly and efficiently. Whatever the type of roofing material or issue, we can fix it. And if it’s time for a new, asphalt roof, we are the only name to know. Your roof is your home’s first line of protection from the elements. That’s why it’s important to keep it functioning at its best. And weather is only the first reason to keep your roof in good shape. Keeping your roof in good condition will increase your efficiency and comfort and cut down on mold and mildew, all while enhancing your home’s curb appeal and increasing its value. If it’s time to get your roof repaired or replaced, then it’s time to call Baldwin Roofing Company. Call us today at (361) 888-8373.